Demi Lovato is probably best known as the singer of the hit songs Skyscraper and Give Your Heart a Break, but she has also appeared in many movies and TV shows. The 21-year-old American has had plenty of success in her life but, in 2010, she ended up in rehab due to a combination of problems. She has recently been opening up about that sad time in her life, saying that she was a complete mess back then but that she is now eager to share her story in the hope that it will inspire fans who are also struggling in life. How Did Demi Lovato End Up in Rehab? Demi Lovato experienced fame and success from a young age. Her acting career started with an appearance on the hit kid’s show Barney and Friends. Her fame increased in 2007 when she got a role in the movie Camp Rock – she also sang on the soundtrack of this film, which helped launch her music career. In 2008, she released her debut album, managing to have many hits since that time. On the surface, it appeared as if Demi was living the dream life, but the reality is that life was really a struggle at times, which is why she turned to addictive behaviours for comfort. It appears that Demi hit her rock bottom in 2010 while in the middle of tour. Her behaviour had been steadily deteriorating, but the final straw came when she attacked one of her back-up singers. Her family and friends could not just sit-by and watch her destroy her life any further, so they performed an intervention, after which Demi agreed to enter rehab. She was able to see that her behaviour was unacceptable, later apologising for the harm she had caused. 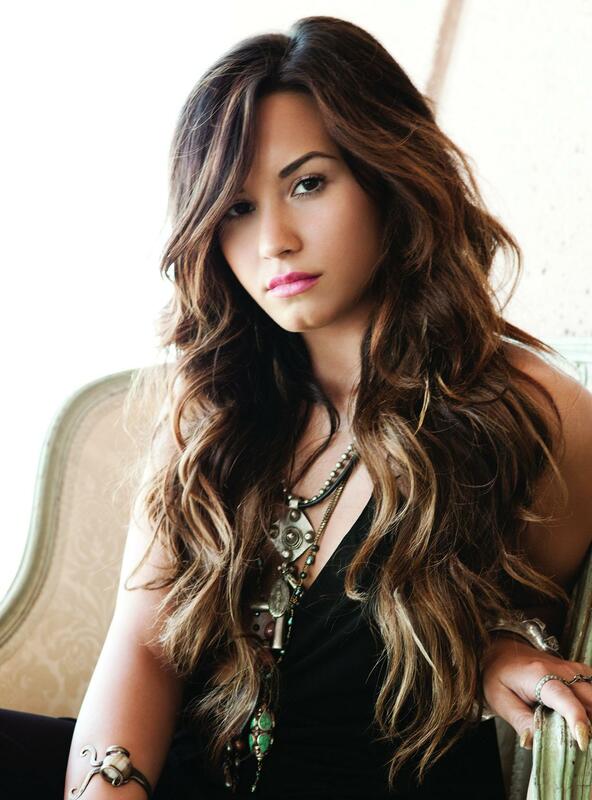 During her stay in rehab it was discovered that Demi was dealing with a number of different problems. Not only had she being abusing alcohol and drugs, but she also had a food disorder and had been self-harming. It turned out that she was actually suffering from bipolar disorder, turning to these other maladaptive behaviours in an attempt to self-medicate. As well as her mental health issues, Demi is convinced that many of her problems had to do with finding success so early in life; it is a great deal of pressure for somebody that young. Self-medication occurs when individuals try to numb their own physical, mental, or emotional pain without getting help from a professional. This is a very dangerous solution to problems because it has a nasty knack of making things worse in the end. Demi Lovato originally turned to maladaptive behaviours such as self-harming and drug abuse as a way to escape the pain in her life. She did not understand that this discomfort was being caused by a mental health problem; she only knew that when she engaged in these behaviours, she felt a bit better. The reason self-medication can be such an easy trap to fall into is that it does appear to work initially. Alcohol and drugs can provide a temporary escape from many types of emotional pain, but it is certainly not any type of cure. What happens is that over time the side effect of the self-medicating just adds to the pain of the original problem so the person ends up dealing with two issues instead of the one. They can then become caught in a vicious cycle of self-medicating more to cope with the negative effects of self-medicating. Demi Lovato has managed to turn her life around completely with the help of rehab, and she is hopefully going to inspire other people to get the help they need. It is wonderful that she has been able to sort out her life at such a young age, which means that going forward she will be able to enjoy her success.